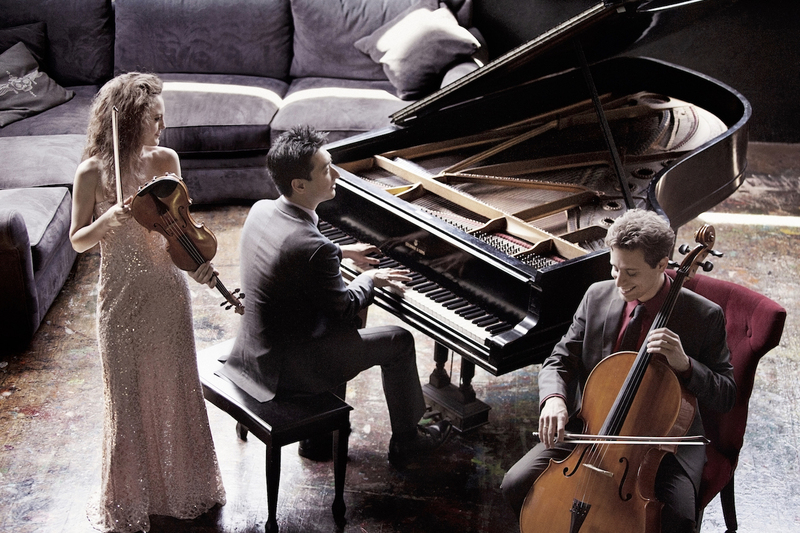 Hailed as “a first-class ensemble” (Orange County Register), “unfailingly stylish” (The Strad), “technically dazzling” (Long Beach Gazette), and “the epitome of what chamber musicians should be” (Palm Beach Daily News), Trio Céleste has firmly established itself as one of the most dynamic chamber music ensembles on the classical music scene today. Trio Céleste is currently Ensemble-in-Residence at the Claire Trevor School of the Arts at the University of California – Irvine, and Directors of the acclaimed arts organization Chamber Music | OC where they have been featured in collaborations with violist Paul Coletti, Emerson String Quartet violinist Philip Setzer, and principal players of the Orpheus Chamber Orchestra. During the 2015/2016 season, the Trio commissioned new music from multiple composers including Samuel Adler, Eugene Drucker, Peter Erskine, Pierre Jalbert, Nicole Mitchell, among others, and released their debut album on the Navona label. The ensemble was inspired to take its name after their very first meeting in New York City, where a rare celestial occurrence – the largest harvest moon in two decades – marked the beginning of their tenure together. For their Music in the Morning debut, the trio will perform Antonin Dvorak’s Piano Trio No. 4, the Dumky Trio, and Beethoven’s Piano Trio in Bb Major. To buy tickets by phone, please call the box office at 604.873.4612. Ticket sales and subscriptions make up only half the revenue needed for us to be able to provide varied and high quality programming and meaningful concert experiences for people of all ages at Music in the Morning. Gifts from our audience members and other supporters help us make up for this funding gap.